ETHZ: Master course “Agriculture and Water Quality” (spring term). Last update: 31 October 2016. Impairment of water quality by organic micropollutants such as pesticides, pharmaceuticals or household chemicals is a problem in many catchments worldwide. These chemicals originate from different urban and agricultural usages and are transferred to surface waters from point or diffuse sources by a number of transport pathways. The quantification of this form of pollution in streams is challenging and especially demanding for diffuse pollution due to the high spatio-temporal concentration dynamics, which require large sampling and analytical efforts to obtain representative data on the actual water quality. Models can also be used to predict to what degree streams are affected by these pollutants. However, spatially distributed modelling of water quality is challenging for a number of reasons. Key issues are the lack of such models that incorporate both urban and agricultural sources of organic micropollutants, the large number of parameters to be estimated for many available water quality models, and the difficulty to transfer parameter estimates from calibration sites to areas where predictions are needed. To overcome these difficulties, we used the parsimonious iWaQa model that simulates herbicide transport from agricultural fields and diffuse biocide losses from urban areas (mainly façades and roof materials) and tested its predictive capabilities in the Rhine River basin. The model only requires between one and eight global model parameters per compound that need to be calibrated. Most of the data requirements relate to spatially distributed land use and comprehensive time series of precipitation, air temperature and spatial data on discharge. For larger catchments, routing was explicitly considered by coupling the iWaQa to the AQUASIM model. The model was calibrated with datasets from three different small catchments (0.5–24.6km2) for three agricultural herbicides (isoproturon, S-metolachlor, terbuthylazine) and two urban biocides (carbendazim, diuron). Subsequently, it was validated for herbicides and biocides in Switzerland for different years on 12 catchments of much larger size (31–35899km2) and for herbicides for the entire Rhine basin upstream of the Dutch–German border (160000km2) without any modification. For most compound–catchment combinations, the model predictions revealed a satisfactory correlation (median r2: 0.5) with the observations. The peak concentrations were mostly predicted within a factor of 2 to 4 (median: 2.1 fold difference for herbicides and 3.2 for biocides respectively). The seasonality of the peak concentration was also well simulated; the predictions of the actual timing of peak concentrations, however, was generally poor. Limited spatio-temporal data, first on the use of the selected pesticides and second on their concentrations in the river network, restrict the possibilities to scrutinize model performance. Nevertheless, the results strongly suggest that input data and model structure are major sources of predictive uncertainty. The latter is for example seen in background concentrations that are systematically overestimated in certain regions, which is most probably linked to the modelled coupling of background concentrations to land use intensity. Despite these limitations the findings indicate that key drivers and processes are reasonably well approximated by the model and that such a simple model that includes land use as a proxy for compound use, weather data for the timing of herbicide applications and discharge or precipitation as drivers for transport is sufficient to predict the timing and level of peak concentrations within a factor of 2 to 3 in a spatially distributed manner at the scale of large river basins. Agricultural intensification has led to a large increase in drained arable land and pastures worldwide over the last two centuries. The installation of land drains not only affects the water balance of a landscape, but also influences the susceptibility to erosion, nutrient cycling, transport of plant protection products (PPPs) and greenhouse gas emissions. Due to the complex nature of environmental systems, the direction in which the substance flows are affected remains unclear, as does the strength of the effects. In this literature review, the focus is on the most relevant site-specific factors that affect the soil moisture regime, erosion, nitrogen (N) and phosphorus (P) fluxes, and PPP fluxes under undrained and drained conditions. The considered factors are the topography, soil characteristics, drainage types, rainfall characteristics and land management. Case studies from temperate climate zones represent the basis of the discussion, with a focus on continental Europe and the USA. In most cases, drainage enhances the total annual water flows from arable fields, while the effects on peak flows were variable, with the local topography playing a crucial role. There exists a certain level of consensus in the literature that subsurface drainage methods reduce the risk of erosion, while surface drainage may increase erosion at the edge of drainage channels. Nitrogen fluxes are generally enhanced following drainage. This is especially true for organic soils with large stores of organically bound N and, therefore, a high loss potential. For P losses, the trend goes in the opposite direction, with generally reduced losses seen following drainage installation. Similar findings are expected in relation to PPP losses. However, these trends may reverse on flat terrain, where subsurface drainage may reduce the on-site retention of these compounds. Overall, the literature reveals the patterns by which drainage affects hydrology, nutrient and PPP fluxes, although it is also evident that the combination of site-specific factors is influential. This hence needs to be considered as part of any risk assessment or management decisions. Fertilization, crop uptake followed by plant harvest, runoff and erosion, and transformations of phosphorus (P) in soil are the major factors influencing the P balance of croplands. It is important to integrate plant-soil-management interactions into consistent modeling systems to determine the effect of P fertilization conditions on yields and to quantify P losses. Previous assessment of P losses on large scales did not consider the interactions among these factors. Here we applied a grid-based crop model to estimate global P losses from three most produced crops: maize, rice, and wheat. The model was forced by detailed P input data sets over the period 1998–2002. According to our simulations, global P losses from the three crops reached 1.2 Tg P/year, and about 44% of it was due to soil erosion. The global total P losses were dominated by contributions from a few hot spot regions. Reducing P fertilizer in regions experiencing excessive P uses and hence losses, especially in China and India, could achieve the same yields as today and save about two thirds of global total P inputs, with the cobenefits of declining global total P losses by 41% and downstream water quality improvement. Reducing soil erosion and retaining more crop residues on croplands could further save P inputs and alleviate P losses. This study is of significance to determine the major factors influencing P balance across regions of the world and help policy makers to propose efficient strategies for tackling P-driven environmental problems. Ecosystems face multiple anthropogenic threats globally, and the effects of these environmental stressors range from individual‐level organismal responses to altered system functioning. Understanding the combined effects of stressors on process rates mediated by individuals in ecosystems would greatly improve our ability to predict organismal multifunctionality (e.g. multiple consumer‐mediated functions). We conducted a laboratory experiment to test direct and indirect, as well as immediate and delayed effects of a heat wave (pulsed stress) and micropollutants (MPs) (prolonged stress) on individual consumers (the great pond snail Lymnaea stagnalis) and their multifunctionality (i.e. consumption of basal resources, growth, reproduction, nutrient excretion and organic‐matter cycling). We found that stressful conditions increased the process rates of multiple functions mediated by individual consumers. Specifically, the artificial heat wave increased process rates in the majority of the quantified functions (either directly or indirectly), whereas exposure to MPs increased consumption of basal resources which led to increases in the release of nutrients and fine particulate organic matter. Moreover, snails exposed to a heat wave showed decreased reproduction and nutrient excretion after the heat‐wave, indicating the potential for ecologically relevant delayed effects. Our study indicates that the immediate and delayed effects of stressors on individual organisms may directly and indirectly impact multiple ecosystem functions. In particular, delayed effects of environmental stress on individual consumers may cumulatively impede recovery due to decreased functioning following a perturbation. Reconciling these results with studies incorporating responses at higher levels of biological complexity will enhance our ability to forecast how individual responses upscale to ecosystem multifunctionality. Many pharmaceuticals inevitably end up in surface waters, exerting unwanted biological activity in non‐target organisms. This effect is confined by the compound's environmental persistence. Regulatory laboratory simulation tests are used in persistence assessment and exposure modelling. While doubt has been expressed about the usefulness of laboratory‐derived persistence indicators under field conditions, these remain the only inputs for chemical fate models due to difficulties of measuring persistence in situ, especially at large scales. To improve understanding about relationships between laboratory experiments and the environmental fate in streams, we developed a mathematical model of biodegradation in stream networks and combined it with in‐stream monitoring data to (i) test if persistence could be evaluated from field data, (ii) check if persistence extracted from laboratory tests applied in the field, and (iii) locate hot‐spots of biodegradation in a large river basin. The model describes partitioning, and particle settling and resuspension, and is structurally compatible with those applied for evaluating laboratory simulation tests. Application to the Rhine river basin suggests that biotransformation rate constants extracted from laboratory tests underestimate those in the field, yet the percentage of biotransformation in the Rhine basin is less than in the laboratory tests due effective biotransformation being limited to small and medium‐sized streams. In conclusion, our data show that biotransformation rates can accurately predicted if (i) monitoring is performed across a wide range in stream order, and (ii) precise estimates for consumption and removal rates at wastewater treatment plants are known. The risks associated with pesticides in small streams remain poorly characterized. The challenges reside in understanding the complexities of (1) the highly dynamic concentration profiles of (2) several hundred active substances with (3) differing seasonality. The present study addressed these three challenges simultaneously. Five small streams in catchments under intensive agricultural land use were sampled using half-day composite samples from March to August 2015. Of 213 active substances quantified using liquid chromatography–high resolution mass spectrometry, a total of 128 was detected at least at one of the sites. Ecotoxicological acute and/or chronic quality criteria were exceeded for a total of 32 different active substances. The evaluation of risks over time revealed the necessity to evaluate the sequences of different active substances that are imposed on aquatic organisms. In contrast, a substance-specific perspective provides only a very limited assessment. Scenarios for reduction of either temporal resolution, number of substances or seasonal coverage were defined. It could be shown that risks can be underestimated by more than a factor of 10 in vulnerable catchments and that an increased temporal resolution is essential to cover acute risks but that a focused selection of substances is a possibility to reduce expenditures. One open question in environmental sciences is whether effective management of natural resources depends on the fit between the bio-physical and the governance system. To address this question, we investigate water quality in transboundary rivers and ask to what extent a fit between the area covered by the physical extent of pollution and the area in which this pollution is addressed through management and policy regulation can be observed. We adopt a spatial approach and argue that the visualization of social-ecological overlap and misfit supports science and practice when taking decisions about how best to explain or address ineffectiveness and cause-effect mismatches in transboundary river management. We focus on drinking water supply in the international river basin of the Rhine focusing on micropollutants. These persistent trace compounds have potential toxic effects on humans and ecosystems, which makes them a relevant type of pollution that needs to be taken into consideration. Based on a combination of mass flow and social network analysis, we can conclude that the Rhine River is characterized by large social-ecological overlap, but that some parts of the catchment area still lack integration. 1. Multiple anthropogenic changes, such as climate change and chemical pollution, threaten the persistence of natural populations. Yet, their potential additive and interactive effects on organismal performance and fitness are poorly understood, thus limiting our ability to predict the effects of the global change. 2. We conducted a laboratory experiment to study the singular and combined effects of experimental heat waves and micropollutants (i.e. low-concentration toxicants; henceforth micropollutants [MPs]) on the freshwater snail, Lymnaea stagnalis. To comprehensively understand physiological and ecological consequences of stress, we studied a broad range of traits from respiration rate to feeding performance and growth. We also determined traits contributing to fitness and immune responses, as these are key traits in determining both organismal fitness and interspecific (e.g. host–parasite) interactions. We tested whether a constant exposure to MPs affects the ability of snails to tolerate heat waves (8 days of 23.5°C), and subsequently to recover from them, and whether the effects are immediate or delayed. 3. We found strong immediate additive effects of both stressors on reproduction, while they synergistically increased respiration and antagonistically decreased food consumption. Moreover, these effects were transient. Although the heat wave increased metabolic rates, individuals did not increase their resource uptake. This caused an apparent imbalance in resource levels—a probable cause for the observed trade-off between immune function and reproductive traits (i.e. phenoloxidase-like activity decreased, while reproductive output increased). In addition, exposure to MPs led to a temporarily reduced reproductive output. 4. Our results indicate that even short-term heat waves and low concentrations of chemical pollution can have large, mainly additive impacts on organismal fitness (e.g. altering susceptibility to infections and reproductive output). This suggests that long-term effects of existing stressors and heat waves need to be considered when assessing the resilience of natural populations. To properly estimate and manage pesticide occurrence in urban rivers, it is essential, but often highly challenging, to identify the key pesticide transport pathways in association to the main sources. 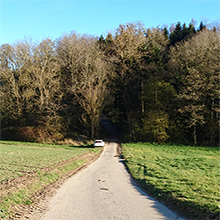 This study examined the concentration-discharge hysteresis behaviour (hysteresis analysis) for three pesticides and the parent-metabolite concentration dynamics for two metabolites at sites with different levels of urban influence in a mixed land use catchment (25 km2) within the Swiss Greifensee area, aiming to identify the dominant pesticide transport pathways. Combining an adapted hysteresis classification framework with prior knowledge of the field conditions and pesticide usage, we demonstrated the possibility of using hysteresis analysis to qualitatively infer the dominant pesticide transport pathway in mixed land-use catchments. The analysis showed that hysteresis types, and therefore the dominant transport pathway, vary among pesticides, sites and rainfall events. Hysteresis loops mostly correspond to dominant transport by flow components with intermediate response time, although pesticide sources indicate that fast transport pathways are responsible in most cases (e.g. urban runoff and combined sewer overflows). The discrepancy suggests the fast transport pathways can be slowed down due to catchment storages, such as topographic depressions in agricultural areas, a wastewater treatment plant (WWTP) and other artificial storage units (e.g. retention basins) in urban areas. Moreover, the WWTP was identified as an important factor modifying the parent-metabolite concentration dynamics during rainfall events. To properly predict and manage pesticide occurrence in catchments of mixed land uses, the hydrological delaying effect and chemical processes within the artificial structures need to be accounted for, in addition to the catchment hydrology and the diversity of pesticide sources. This study demonstrates that in catchments with diverse pesticide sources and complex transport mechanisms, the adapted hysteresis analysis can help to improve our understanding on pesticide transport behaviours and provide a basis for effective management strategies. This study was conducted to determine physicochemical and microbiological characteristics of well water for agricultural and domestic uses in Korhogo’s department. The physicochemical and microbiological parameters were analyzed following techniques described by AFNOR. 18 wells were sampled during the rainy and dry seasons. Physicochemical results indicated that the water is slightly acidic and weakly mineralized with conductivity values between 59.5 μS/cm and 225 μS/cm. Dissolved oxygen concentrations are between 0.78 mg/l and 4.93 mg/l. Furthermore, the levels of nitrate and ammonium in this water show that they are not affected by nitrogen pollution. 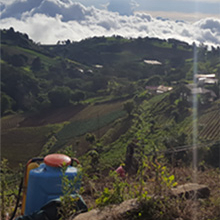 Pesticides such as chlorpyrifos-ethyl, ethyl parathion, thiamethoxam, spirodiclofen, deltamethrin, carbaryl and zoxamide were discovered in 16 wells. The concentration of individual pesticides reached 3.61 μg/l in some wells. The total pesticide concentration detected in the wells ranged from 0.01 μg/l and 6.36 μg/l. Microbiological analysis showed the presence of total coliforms at high levels (2,3.103 CFU/ml). Consumption of this water can cause a real health risks for the population. Surface waters can contain a range of micropollutants from point sources, such as wastewater effluent, and diffuse sources, such as agriculture. 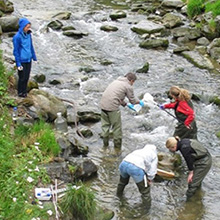 Characterizing the source of micropollutants is important for reducing their burden and thus mitigating adverse effects on aquatic ecosystems. In this study, chemical analysis and bioanalysis were applied to assess the micropollutant burden during low flow conditions upstream and downstream of three wastewater treatment plants (WWTPs) discharging into small streams in the Swiss Plateau. The upstream sites had no input of wastewater effluent, allowing a direct comparison of the observed effects with and without the contribution of wastewater. Four hundred and five chemicals were analyzed, while the applied bioassays included activation of the aryl hydrocarbon receptor, activation of the androgen receptor, activation of the estrogen receptor, photosystem II inhibition, acetylcholinesterase inhibition and adaptive stress responses for oxidative stress, genotoxicity and inflammation, as well as assays indicative of estrogenic activity and developmental toxicity in zebrafish embryos. Chemical analysis and bioanalysis showed higher chemical concentrations and effects for the effluent samples, with the lowest chemical concentrations and effects in most assays for the upstream sites. Mixture toxicity modeling was applied to assess the contribution of detected chemicals to the observed effect. For most bioassays, very little of the observed effects could be explained by the detected chemicals, with the exception of photosystem II inhibition, where herbicides explained the majority of the effect. This emphasizes the importance of combining bioanalysis with chemical analysis to provide a more complete picture of the micropollutant burden. While the wastewater effluents had a significant contribution to micropollutant burden downstream, both chemical analysis and bioanalysis showed a relevant contribution of diffuse sources from upstream during low flow conditions, suggesting that upgrading WWTPs will not completely reduce the micropollutant burden, but further source control measures will be required. Human land uses and population growth represent major global threats to biodiversity and ecosystem services. Understanding how biological communities respond to multiple drivers of human-induced environmental change is fundamental for conserving ecosystems and remediating degraded habitats. Here, we used a replicated ‘real-world experiment’ to study the responses of invertebrate communities to wastewater perturbations across a land-use intensity gradient in 12 Swiss streams. We used different taxonomy and trait-based community descriptors to establish the most sensitive indicators detecting impacts and to help elucidate potential causal mechanisms of change. First, we predicted that streams in catchments adversely impacted by human land-uses would be less impaired by wastewater inputs because their invertebrate communities should be dominated by pollution-tolerant taxa (‘environmental context’). Second, we predicted that the negative effects of wastewater on stream invertebrate communities should be larger in streams that receive proportionally more wastewater (‘magnitude of disturbance’). In support of the ‘environmental context’ hypothesis, we found that change in the Saprobic Index (a trait-based indicator of tolerance to organic pollution) was associated with upstream community composition; communities in catchments with intensive agricultural land uses (e.g., arable cropping and pasture) were generally more resistant to eutrophication associated with wastewater inputs. We also found support for the ‘magnitude of disturbance’ hypothesis. The SPEAR Index (a trait-based indicator of sensitivity to pesticides) was more sensitive to the relative input of effluent, suggesting that toxic influences of wastewater scale with dilution. Whilst freshwater pollution continues to be a major environmental problem, our findings highlight that the same anthropogenic pressure (i.e., inputs of wastewater) may induce different ecological responses depending on the environmental context and community metrics used. Thus, remediation strategies aiming to improve stream ecological status (e.g., rehabilitating degraded reaches) need to consider upstream anthropogenic influences and the most appropriate indicators of restoration success. Human-induced environmental changes are causing major shifts in ecosystems around the globe. To support environmental management, scientific research has to infer both general trends and context dependency in these shifts at global and local scales. Combining replicated real-world experiments, which take advantage of implemented mitigation measures or other forms of human impact, with research-led experimental manipulations can provide powerful scientific tools for inferring causal drivers of ecological change and the generality of their effects. Additionally, combining these two approaches can facilitate communication with stakeholders involved in implementing management strategies. We demonstrate such an integrative approach using the case study EcoImpact, which aims at empirically unravelling the impacts of wastewater-born micropollutants on aquatic ecosystems. During rain events, biocides and plant protection products are transported from agricultural fields but also from urban sources to surface waters. Originally designed to be biologically active, these compounds may harm organisms in aquatic ecosystems. Although several models allow either urban or agricultural storm events to be predicted, only few combine these two sources, and none of them include biocide losses from building envelopes. This study therefore aims to develop a model designed to predict water and substance flows from urban and agricultural sources to surface waters. We developed a model based on physical principles for water percolation and substance flow including micro- (also called matrix-) and macropore-flows for the agricultural areas together with a model representing sources, sewer systems and a wastewater treatment plant for urban areas. In a second step, the combined model was applied to a catchment where an extensive field study had been conducted. The modelled and measured discharge and compound results corresponded reasonably well in terms of quantity and dynamics. The total cumulative discharge was only slightly lower than the total measured discharge (factor 0.94). The total modelled losses of the agriculturally used herbicide atrazine were slightly lower (∼25%) than the measured losses when the soil pore water distribution coefficient (describing the partition between soil particles and pore water) (Kd) was kept constant and slightly higher if it was increased with time. The modelled urban losses of diuron from facades were within a factor of three with respect to the measured values. The results highlighted the change in importance of the flow components during a rain event from urban sources during the most intensive rain period towards agricultural ones over a prolonged time period. Applications to two other catchments, one neighbouring and one on another continent showed that the model can be applied using site specific data for land use, pesticide application, weather and literature data for soil related parameters such as saturated water content, hydraulic conductivity or lateral distances of the drainage pipes without any further calibration of parameters. This is a promising basis for using the model in a wide range of catchments. Diffuse entry of pesticide residues from agriculture into rivers is spatially unevenly distributed. Therefore, the identification of critical source areas (CSAs) may support water quality management in agricultural catchments. In contrast to former studies, we followed the hypothesis that not only hydrological and topographical characteristics but also physico-chemical properties of pesticide residues have a major influence on their loss to rivers and on corresponding formation of CSAs. We designed a virtual experiment, i.e. a numerical experiment as close as possible to environmental conditions, in a headwater catchment where pronounced spatial differences in hydrological transport processes were identified in the past. 144 scenarios with different combinations of adsorption coefficients (KOC = 10–1000 ml/g) and transformation half-lives (DT50 = 3–60 days) for pesticide parent compounds (PCs) and their transformation products (TPs) were simulated using the catchment-scale spatially distributed reactive transport model ZIN-AgriTra. Export fractions of substances in the virtual experiment ranged from 0.001–15% for pesticides and 0.001–1.8% for TPs. The results of the scenario investigations suggest that more of the calculated export mass variability could be attributed to KOC than to DT50 for both PCs and TPs. CSAs for TPs were spatially more equally distributed in the catchment than for PC export which was likely an effect of changing physico-chemical properties during transformation. The ranking of highest export fields was different between PCs and TPs for most of the investigated scenarios but six fields appeared among the top ten export fields in 95% of the scenarios, which shows the influence of site characteristics such as tile drains or soil properties in the catchment. Thus, the highest export fields were determined by a combination of site characteristics and substance characteristics. Therefore, despite the challenge of widely differing physico-chemical characteristics of pesticides on the market, these characteristics are an important consideration when delineating pesticide residue CSAs. The series of papers in this issue of AMBIO represent technical presentations made at the 7th International Phosphorus Workshop (IPW7), held in September, 2013 in Uppsala, Sweden. At that meeting, the 150 delegates were involved in round table discussions on major, predetermined themes facing the management of agricultural phosphorus (P) for optimum production goals with minimal water quality impairment. The six themes were (1) P management in a changing world; (2) transport pathways of P from soil to water; (3) monitoring, modeling, and communication; (4) importance of manure and agricultural production systems for P management; (5) identification of appropriate mitigation measures for reduction of P loss; and (6) implementation of mitigation strategies to reduce P loss. This paper details the major challenges and research needs that were identified for each theme and identifies a future roadmap for catchment management that cost-effectively minimizes P loss from agricultural activities. Here, we demonstrate how to distinguish the causes of correlation by means of Monte Carlo simulations. We assessed to which degree trait-based indices are stressor-specific and whether this depends on the pool of taxa and its taxonomic resolution. Therefore, we (1) analysed the frequencies of "sensitive" and "insensitive" taxa for pairwise combinations of different indices, (2) analysed the inherent correlation of indices with random samples from different taxon pools derived from field samples and from a complete species list of a whole ecoregion, and (3) compared this inherent correlation with the actual correlation of the field samples. We exemplified this approach by analysing two existing indices (SPEARpesticides, Saprobic Index) and new indices for temperature, flow and pH stress. We used these new indices to illustrate our approach while in-depth testing of their applicability was not the focus of our study. < BR/> We found strong correlations between several indices in our study area at the Swiss Plateau. The probability that this correlation is only due to inherent correlation in the taxa sensitivities was low (maximum of 0.34). The problem of inherent correlation between indices is more severe for the smaller taxon pool with lower taxonomic resolution. Micropollutants (MPs) as individual compounds or in complex mixtures are relevant for water quality and may trigger unwanted ecological effects. MPs originate from different point and diffuse sources and enter water bodies via different flow paths. Effluents from conventional wastewater treatment plants (WWTPs), in which various MPs are not or not completely removed, is one major source. To improve the water quality and avoid potential negative ecological effects by micropollutants, various measures to reduce the discharge should be taken. In this feature we discuss one of these measures; the benefits of upgrading WWTPs toward reduced MP loads and toxicities from wastewater effluents, using the recently decided Swiss strategy as an example. Based on (i) full-scale case studies using ozonation or powder activated carbon treatment, showing substantial reduction of MP discharges and concomitant reduced toxicities, (ii) social and political acceptance, (iii) technical feasibility and sufficient cost-effectiveness, the Swiss authorities recently decided to implement additional wastewater treatment steps as mitigation strategy to improve water quality. Since MPs are of growing global concern, the concepts and considerations behind the Swiss strategy are explained in this feature, which could be of use for other countries as well. It should be realized that upgrading WWTPs is not the only solution to reduce the discharge of MPs entering the environment, but is part of a broader, multipronged mitigation strategy. This report describes how water and aquatic ecosystems in Switzerland are presently being utilised. It also documents present and – as far as foreseeable – future conflicts and potential synergies resulting from the different uses. The analysis is based wherever possible on knowledge gained by NRP 61 research projects, yet also draws on insights of other research projects, official reports and publications. The report hence lays out the current state of knowledge on water utilisation in Switzerland. To identify the relevant synergies and conflicts, all important demands on water and aquatic ecosystems have been examined. This includes activities that do not originally intend to make use of water or water bodies, but do have an impact on their condition and hence on other water users. The impact of the various activities on water and aquatic ecosystems was analysed on the basis of literature research and interviews with experts, and framed along the four dimensions water quantity, water quality, hydromorphology and land-use (chapters A to D). The results are summarised in four utilization matrices showing how the various activities (potentially) impact other uses. These matrices epitomise the essence of chapters A to D, in which the impact of different user demands is explored in detail. A comprehensive assessment of pesticides in surface waters is challenging due to the large number of potential contaminants. Most scientific studies and routine monitoring programs include only 15–40 pesticides, which leads to error-prone interpretations. In the present study, an extensive analytical screening was carried out using liquid chromatography–high-resolution mass spectrometry, covering 86% of all polar organic pesticides sold in Switzerland and applied to agricultural or urban land (in total 249 compounds), plus 134 transformation products; each of which could be quantified in the low ng/L range. Five medium-sized rivers, containing large areas of diverse crops and urban settlements within the respective catchments, were sampled between March and July 2012. More than 100 parent compounds and 40 transformation products were detected in total, between 30 and 50 parent compounds in each two-week composite sample in concentrations up to 1500 ng/L. The sum of pesticide concentrations was above 1000 ng/L in 78% of samples. The chronic environmental quality standard was exceeded for 19 single substances; using a mixture toxicity approach, exceedances occurred over the whole measurement period in all rivers. With scenario calculations including only 30–40 frequently measured pesticides, the number of detected substances and the mixture toxicity would be underestimated on average by a factor of 2. Thus, selecting a subset of substances to assess the surface water quality may be sufficient, but a comprehensive screening yields substantially more confidence. Pesticides applied onto agricultural fields are frequently found in adjacent rivers. To what extent and along which pathways they are transported is influenced by intrinsic pesticide properties such as sorption and degradation. In the environment, incomplete degradation of pesticides leads to the formation of transformation products (TPs), which may differ from the parent compounds regarding their intrinsic fate characteristics. Thus, the export processes of TPs in catchments and streams may also be different. In order to test this hypothesis, we extended a distributed hydrological model by the fate and behaviour of pesticides and transformation products and applied it to a small, well-monitored headwater catchment in Switzerland. The successful model evaluation of three pesticides and their TPs at three sampling locations in the catchment enabled us to estimate the quantity of contributing processes for pollutant export. Since all TPs were more mobile than their parent compounds (PCs), they exhibited larger fractions of export via subsurface pathways. However, besides freshly applied pesticides, subsurface export was found to be influenced by residues of former applications. Export along preferential flow pathways was less dependent on substance fate characteristics than soil matrix export, but total soil water flow to tile drains increased more due to preferential flow for stronger sorbing substances. Our results indicate that runoff generation by matrix flow to tile drains gained importance towards the end of the modelling period whereas the contributions from fast surface runoff and preferential flow decreased. Accordingly, TPs were to a large extent exported under different hydrological conditions than their PCs, due to their delayed formation and longer half-lives. Thus, not only their different intrinsic characteristics but also their delayed formation could be responsible for the fact that TPs generally took different pathways than their PCs. We suggest that these results should be considered in risk assessment for the export of agricultural chemicals to adjacent rivers and that models should be extended to include both PCs and TPs. Eutrophication of surface waters due to diffuse phosphorus (P) losses continues to be a severe water quality problem worldwide, causing the loss of ecosystem functions of the respective water bodies. Phosphorus in runoff often originates from a small fraction of a catchment only. Targeting mitigation measures to these critical source areas (CSAs) is expected to be most efficient and cost-effective, but requires suitable tools. Here we investigated the capability of the parsimonious Rainfall-Runoff-Phosphorus (RRP) model to identify CSAs in grassland-dominated catchments based on readily available soil and topographic data. After simultaneous calibration on runoff data from four small hilly catchments on the Swiss Plateau, the model was validated on a different catchment in the same region without further calibration. The RRP model adequately simulated the discharge and dissolved reactive P (DRP) export from the validation catchment. Sensitivity analysis showed that the model predictions were robust with respect to the classification of soils into "poorly drained" and "well drained", based on the available soil map. Comparing spatial hydrological model predictions with field data from the validation catchment provided further evidence that the assumptions underlying the model are valid and that the model adequately accounts for the dominant P export processes in the target region. Thus, the parsimonious RRP model is a valuable tool that can be used to determine CSAs. Despite the considerable predictive uncertainty regarding the spatial extent of CSAs, the RRP can provide guidance for the implementation of mitigation measures. The model helps to identify those parts of a catchment where high DRP losses are expected or can be excluded with high confidence. Legacy P was predicted to be the dominant source for DRP losses and thus, in combination with hydrologic active areas, a high risk for water quality. During rain events, herbicides can be transported from their point of application to surface waters, where they may harm aquatic organisms. Since the spatial pattern of mobilisation and transport is heterogeneous, the contributions of different fields to the herbicide load in the stream may vary considerably within one catchment. Therefore, the prediction of contributing areas could help to target mitigation measures efficiently to those locations where they reduce herbicide pollution the most. Such spatial predictions require sufficient insight into the underlying transport processes. To improve the understanding of the process chain of herbicide mobilisation on the field and the subsequent transport through the catchment to the stream, we performed a controlled herbicide application on corn fields in a small agricultural catchment (ca. 1 km2) with intensive crop production in the Swiss Plateau. Water samples were collected at different locations in the catchment (overland flow, tile drains and open channel) for two months after application in 2009, with a high temporal resolution during rain events. We also analysed soil samples from the experimental fields and measured discharge, groundwater level, soil moisture and the occurrence of overland flow at several locations. Several rain events with varying intensities and magnitudes occurred during the study period. Overland flow and erosion were frequently observed in the entire catchment. Infiltration excess and saturation excess overland flow were both observed. However, the main herbicide loss event was dominated by infiltration excess. Despite the frequent and wide-spread occurrence of overland flow, most of this water did not reach the channel directly, but was retained in small depressions in the catchment. From there, it reached the stream via macropores and tile drains. Manholes of the drainage system and storm drains for road and farmyard runoff acted as additional shortcuts to the stream. Although fast flow processes such as overland and macropore flow reduce the influence of the herbicide's chemical properties on transport due to short travel times, sorption properties influenced the herbicide transfer from ponding overland flow to tile drains (macropore flow). However, no influence of sorption was observed during the mobilisation of the herbicides from soil to overland flow. These observations on the role of herbicide properties contradict previous findings to some degree. Furthermore, they demonstrate that valuable insight can be gained by making spatially detailed observations along the flow paths. Temporally resolved environmental risk assessment of fluctuating concentrations of micropollutants is presented. We separated the prediction of toxicity over time from the extrapolation from one to many species and from acute to sublethal effects. A toxicokinetic–toxicodynamic (TKTD) model predicted toxicity caused by fluctuating concentrations of diazinon, measured by time-resolved sampling over 108 days from three locations in a stream network, representing urban, agricultural and mixed land use. We calculated extrapolation factors to quantify variation in toxicity among species and effect types based on available toxicity data, while correcting for different test durations with the TKTD model. Sampling from the distribution of extrapolation factors and prediction of time-resolved toxicity with the TKTD model facilitated subsequent calculation of the risk of undesired toxic events. Approximately one-fifth of aquatic organisms were at risk and fluctuating concentrations were more toxic than their averages. Contribution of urban and agricultural sources of diazinon to the overall risk varied. Thus using fixed concentrations as water quality criteria appears overly simplistic because it ignores the temporal dimension of toxicity. However, the improved prediction of toxicity for fluctuating concentrations may be small compared to uncertainty due to limited diversity of toxicity data to base the extrapolation factors on. A distributed hydrological model was used to simulate the distribution of fast runoff formation as a proxy for critical source areas for herbicide pollution in a small agricultural catchment in Switzerland. We tested to what degree predictions based on prior knowledge without local measurements could be improved upon relying on observed discharge. This learning process consisted of five steps: For the prior prediction (step 1), knowledge of the model parameters was coarse and predictions were fairly uncertain. In the second step, discharge data were used to update the prior parameter distribution. Effects of uncertainty in input data and model structure were accounted for by an autoregressive error model. This step decreased the width of the marginal distributions of parameters describing the lower boundary (percolation rates) but hardly affected soil hydraulic parameters. Residual analysis (step 3) revealed model structure deficits. We modified the model, and in the subsequent Bayesian updating (step 4) the widths of the posterior marginal distributions were reduced for most parameters compared to those of the prior. This incremental procedure led to a strong reduction in the uncertainty of the spatial prediction. Thus, despite only using spatially integrated data (discharge), the spatially distributed effect of the improved model structure can be expected to improve the spatially distributed predictions also. The fifth step consisted of a test with independent spatial data on herbicide losses and revealed ambiguous results. The comparison depended critically on the ratio of event to preevent water that was discharged. This ratio cannot be estimated from hydrological data only. The results demonstrate that the value of local data is strongly dependent on a correct model structure. An iterative procedure of Bayesian updating, model testing, and model modification is suggested. Relative contributions of agricultural and urban uses to the glyphosate contamination of surface waters were studied in a small catchment (25 km2) in Switzerland. Monitoring in four sub-catchments with differing land use allowed comparing load and input dynamics from different sources. Agricultural as well as urban use was surveyed in all sub-catchments allowing for a detailed interpretation of the monitoring results. Water samples from the river system and from the urban drainage system (combined sewer overflow, storm sewer and outflow of wastewater treatment plant) were investigated. The concentrations at peak discharge during storm events were elevated throughout the year with maximum concentrations of 4.15 μg L−1. Glyphosate concentrations mostly exceeded those of other commonly used herbicides such as atrazine or mecoprop. Fast runoff from hard surfaces led to a fast increase of the glyphosate concentration shortly after the beginning of rainfall not coinciding with the concentration peak normally observed from agricultural fields. The comparison of the agricultural application and the seasonal concentration and load pattern in the main creek from March to November revealed that the occurrence of glyphosate cannot be explained by agricultural use only. Extrapolations from agricultural loss rates and from concentrations found in the urban drainage system showed that more than half of the load during selected rain events originates from urban areas. The inputs from the effluent of the wastewater treatment plant, the overflow of the combined sewer system and of the separate sewer system summed up to 60% of the total load. The prediction of diffuse herbicide losses to surface waters using process-based models is data and time demanding. 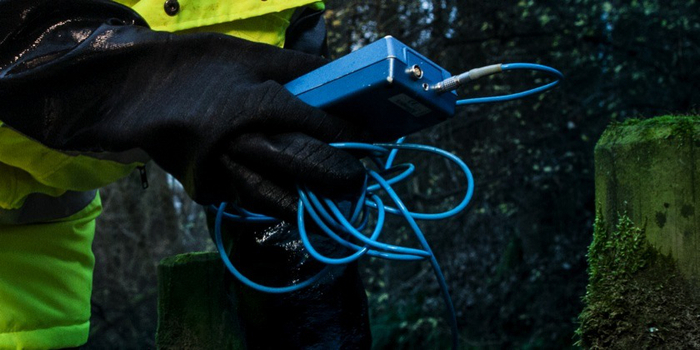 There is a need for simpler and more efficient catchment screening tools. We developed and tested a new proxy for screening catchments for their vulnerability to diffuse herbicide losses relying on widely available river flow data only. The proxy combines the fast flow index (FFI) (i.e., the long-term average proportion of fast flow to total discharge) and the fast flow volume (FFVs) (i.e., the stormflow component of the hydrograph during the spring flush period). We tested the proxy and the underlying hypotheses by regression analyses of existing high-frequency, multiannual monitoring datasets of atrazine, metolachlor, alachlor, and acetochlor concentrations from six US and European catchments. The percentages of applied amounts of three of the four herbicides lost to surface water were positively correlated with the FFV, and the slope of the correlation was positively correlated with the FFI. Based on the empirical data, we derived quantitative proxies to estimate atrazine and metolachlor losses based on the measured FFI and FFV values. The application to 65 European catchments revealed that many of them had a lower vulnerability than the six test catchments. The observed FFI dependency of the slope seems reasonable because with increasing FFI less rain is needed to trigger fast flow and more herbicide is available in the topsoil. The proposed FFI-FFVs proxy can guide researchers and authorities in selecting monitoring areas, setting monitoring results into context, and prioritizing mitigation strategies according to catchment vulnerability. Biocides and pesticides are designed to control the occurrence of unwanted organisms. From their point of application, these substances can be mobilized and transported to surface waters posing a threat to the aquatic environment. Historically, agricultural pesticides have received substantially more attention than biocidal compounds from urban use, despite being used in similar quantities. This study aims at improving our understanding of the influence of mixed urban and agricultural land use on the overall concentration dynamics of biocides and pesticides during rain events throughout the year. A comprehensive field study was conducted in a catchment within the Swiss plateau (25 km2). Four surface water sampling sites represented varying combinations of urban and agricultural sources. Additionally, the urban drainage system was studied by sampling the only wastewater treatment plant (WWTP) in the catchment, a combined sewer overflow (CSO), and a storm sewer (SS). High temporal resolution sampling was carried out during rain events from March to November 2007. The results, based on more than 600 samples analyzed for 23 substances, revealed distinct and complex concentration patterns for different compounds and sources. Five types of concentration patterns can be distinguished: a) compounds that showed elevated background concentrations throughout the year (e.g. diazinon >50 ng L−1), indicating a constant household source; b) compounds that showed elevated concentrations driven by rain events throughout the year (e.g. diuron 100–300 ng L−1), indicating a constant urban outdoor source such as facades; c) compounds with seasonal peak concentrations driven by rain events from urban and agricultural areas (e.g. mecoprop 1600 ng L−1 and atrazine 2500 ng L−1 respectively); d) compounds that showed unpredictably sharp peaks (e.g. atrazine 10,000 ng L−1, diazinon 2500 ng L−1), which were most probably due to improper handling or even disposal of products; and finally, e) compounds that were used in high amounts but were not detected in surface waters (e.g. isothiazolinones). It can be safely concluded that in catchments of mixed land use, the contributions of biocide and pesticide inputs into surface waters from urban areas are at least as important as those from agricultural areas. Ten conceptually different models in predicting discharge from the artificial Chicken Creek catchment in North-East Germany were used for this study. Soil texture and topography data were given to the modellers, but discharge data was withheld. We compare the predictions with the measurements from the 6 ha catchment and discuss the conceptualization and parameterization of the models. The predictions vary in a wide range, e.g. with the predicted actual evapotranspiration ranging from 88 to 579 mm/y and the discharge from 19 to 346 mm/y. The predicted components of the hydrological cycle deviated systematically from the observations, which were not known to the modellers. Discharge was mainly predicted as subsurface discharge with little direct runoff. In reality, surface runoff was a major flow component despite the fairly coarse soil texture. The actual evapotranspiration (AET) and the ratio between actual and potential ET was systematically overestimated by nine of the ten models. None of the model simulations came even close to the observed water balance for the entire 3-year study period. The comparison indicates that the personal judgement of the modellers was a major source of the differences between the model results. The most important parameters to be presumed were the soil parameters and the initial soil-water content while plant parameterization had, in this particular case of sparse vegetation, only a minor influence on the results. Reducing herbicide applications on hydrologically contributing areas has been suggested as an effective approach to mitigate diffuse herbicide pollution. We report on controlled herbicide applications in two small neighboring catchments in the Swiss Plateau investigating the persistence of contributing areas in time and the influence of herbicide properties on the spatial loss patterns and on the extent of herbicides loads. A mixture of atrazine, dimethenamide, metolachlor, and sulcotrione was applied to four corn fields on the same day. Simazine was used as an additional tracer to the wettest part of one field. Irrespective of rainfall timing and for all compounds, spatial differences in the herbicide losses relative to the amounts applied were large (factors 15-18). The water table fluctuations in the fields suggest that soil hydrology differentiated between "high" and "low loss" fields. The spatial patterns were consistent with results obtained under very different weather conditions in an earlier study indicating that contributing areas prevail in time. Simazine losses from a wet hot spot were exceptionally large exceeding 24% of the applied mass. Avoiding atrazine applications on this small area corresponding to 1% of the field size would have resulted in a 30% decrease of the overall losses. Hence, land use strategies should not only account for soil (hydrological) differences between fields but should pay sufficient attention to small-scale heterogeneity within fields. In recent years, human and veterinary pharmaceuticals have received much attention as pollutants of water bodies or drinking water resources due to possible negative effects on humans or the ecosystem even at very low concentrations. Over the last 10 years, considerable progress has been made regarding the knowledge of the exposure of water bodies to those drugs. This review summarizes the present understanding in this broad and interdisciplinary field incorporating contributions ranging from trace analytics to spatially distributed modelling of point-source and diffuse pollution. It discusses the main factors and processes controlling the environmental fate of pharmaceuticals from their usage to their spatial and temporal occurrence in water bodies. The current research is still rather phenomenological and further advancement of the field requires more integrated, quantitative mass flux analyses. Such analyses should also consider the explicit incorporation of uncertainties that appropriately reflect the current limited understanding and data availability. Sulfonamides (SA), ionizable, polar antimicrobial compounds, may reach the environment in substantial amounts by the spreading of manure. The environmental behavior of SA is still difficult to predict. We investigated the influence of the main factors supposed to control SA sorption to organic materials: composition of sorbent, solute chemistry, and contact time. For that purpose, sulfathiazole (STA) sorption to compost, manure, and humic acid after 1 and 14 d was studied under sterile conditions. The experiments demonstrated that sorption was most strongly affected by contact time and pH. Irrespective of sorbent and pH, sorption continued substantially after the fast initial sorption within 1 d. For all sorbents and both contact times, STA sorption exhibited a pronounced pH dependence. Species-specific Koc values decreased in the order Koccation > <i<K</I>ocneutral > Kocanion. Differences in sorbent composition influenced STA sorption weaker. For the neutral STA species, NMR chemical shift regions assignable to ketonic, carboxylic, and phenolic C as well as aromatic C-H and methoxyl/N-alkyl C seemed to control sorption. For the cations, sorption followed the cation exchange capacities of the sorbents. STA sorption to manure and humic acid increased with higher ionic strength (0.31 M compared to 0.06 M) at pH 7.5. Phosphorus (P) losses from many agricultural soils are driven by fast transport processes, such as surface runoff, shallow interflow and macropore flow. Close interaction of rain with topsoil layers (0-5 cm), rich in available P, results in high P concentrations in these rapid runoff pathways. This is particularly pronounced in permanent grassland soils typically characterized by a P enrichment of the topsoil. One option to mitigate P losses from grassland is therefore to reduce soil P content, particularly available P, in this critical surface layer. Omitting application of P fertilizer will reduce soil P in the long term but more drastic methods may be necessary to achieve P loss reductions in shorter timescales. In this study, three management options to reduce P in runoff from grassland soils were evaluated in a field experiment lasting 2 years on two grassland sites: (i) no P inputs, (ii) no P inputs plus soil tillage and (iii) no P inputs plus tillage combined with application of a P sorbing soil amendment (iron oxide). Withholding P inputs did not decrease either the available P in the soil or the P concentrations in runoff from sprinkler experiments over a 2-year period. Both the treatments which included tillage caused immediate reductions in both soil available P and runoff P, with Fe/OH amendment being more effective. However, in the second year the effects of both tillage treatments were less apparent and only the Fe/OH treatment significantly decreased runoff P. The results indicate that the long-term enrichment of soils due to P application in excess of plant needs is unlikely to be remedied by short-term treatments. However, further work is required to assess the applicability of our conclusion to other sites. Predicting discharge in ungauged catchments or contaminant movement through soil requires knowledge of the distribution and spatial heterogeneity of hydrological soil properties. Because hydrological soil information is not available at a European scale, we reclassified the Soil Geographical Database of Europe (SGDBE) at 1:1 million in a hydrological manner by adopting the Hydrology Of Soil Types (HOST) system developed in the UK. The HOST classification describes dominant pathways of water movement through soil and was related to the base flow index (BFI) of a catchment (the long-term proportion of base flow on total stream flow). In the original UK study, a linear regression of the coverage of HOST classes in a catchment explained 79% of BFI variability. We found that a hydrological soil classification can be built based on the information present in the SGDBE. The reclassified SGDBE and the regression coefficients from the original UK study were used to predict BFIs for 103 catchments spread throughout Europe. The predicted BFI explained around 65% of the variability in measured BFI in catchments in Northern Europe, but the explained variance decreased from North to South. We therefore estimated new regression coefficients from the European discharge data and found that these were qualitatively similar to the original estimates from the UK. This suggests little variation across Europe in the hydrological effect of particular HOST classes, but decreasing influence of soil on BFI towards Southern Europe. Our preliminary study showed that pedological information is useful for characterising soil hydrology within Europe and the long-term discharge regime of catchments in Northern Europe. Based on these results, we draft a roadmap for a refined hydrological classification of European soils. Monitoring programs throughout America and Europe have demonstrated the common occurrence of herbicides in surface water. Nevertheless, mixtures are rarely taken into account in water quality regulation. Taking mixtures into account is only feasible if the water quality criteria (WQC) of the single compounds are derived by a common and consistent methodology, which overcomes differences in data quality without settling on the lowest common denominator but making best use of all available data. In this paper, we present a method of defining a risk quotient for mixtures of herbicides with a similar mode of action (RQm). Consistent and comparable WQC are defined for single herbicides as a basis for the calculation of the RQm. Derived from the concentration addition model, the RQm can be expressed as the sum of the ratios of the measured environmental concentration and the WQC for each herbicide. The RQm should be less than one to ensure an acceptable risk to aquatic life. This approach has the advantage of being easy to calculate and communicate, and is proposed as a replacement for the current limit of 0.1 μg/L for herbicides in Switzerland. We illustrate the proposed approach on the example of five commonly applied herbicides (atrazine, simazine, terbuthylazine, isoproturon, and diuron). Their risk profile, i.e., the RQm as a function of time for one exemplary river, clearly shows that the single compounds rarely exceeded their individual WQC. However, the contribution of peaks of different seasonally applied herbicides, whose application periods partially overlap, together with the continuously emitted herbicides from nonagricultural use, results in the exceedance of the RQm threshold value of one upon several occasions. A pressurized liquid extraction (PLE) method was developed for the quantification of five sulfonamide antibiotics (sulfadiazine, sulfadimethoxine, sulfamethazine, sulfamethoxazole, and sulfathiazole) in aged soil samples. To account for sequestration effects the extraction was optimized using a composite grassland soil sample collected 11 days after the application of manure containing these substances. The optimized method uses a mixture of buffered water (pH 8.8) and acetonitrile (85:15) as solvent for the extraction at 200 degrees C and 100 bar during five min. The most important parameter for the extraction efficiency was temperature whereas the pH of the extraction solvent did hardly influence extraction efficiency between pH 4.1 and 8.8. A temperature increase from 100 to 200 degrees C improved the extraction efficiency up to a factor of six for aged residues in soils. In contrast, no temperature dependence was observed during short-term spike experiment. After 90 min exposure in these spike experiments we recovered 62-93% of the sulfonamides, except for sulfamethoxazole with only 41%. These percentages decreased substantially after a contact time of 6 and 17 days. The reasons for this decline remained unknown. Inter-day precision of the method was very satisfactory: relative standard deviations from the average were below 10%. Limits of detection for the extraction procedure were lower than 15 mu g/kg. The performance of the developed extraction method was demonstrated by measuring the decrease of sulfonamide concentration in a top soil after manure application. Within 3 months the concentration of sulfadiazine dropped from 450 to 150 mu g/kg. Despite their common use in animal production the environmental fate of the veterinary sulfonamide antibiotics after excretion is only poorly understood. We performed irrigation experiments to investigate the transport of these substances with surface runoff on grassland. Liquid manure from pigs treated with sulfadimidine was spiked with sulfadiazine, sulfathiazole, the herbicide atrazine (2-chloro-4-ethylamino-6-isopropylamino-1,3,5-triazine), and the conservative tracer bromide and spread onto eight plots. Four plots received the same amounts of the spiked substances in aqueous solution (controls). Apart from the application matrix we varied the time between application and irrigation. Manure increased the runoff volume up to six times compared with the controls. It seemed that manure enhanced the runoff by sealing the soil surface. On manured plots the relative antibiotic concentrations in runoff were higher than on the controls, reaching an average of 0.3% (sulfadiazine), 0.8% (sulfathiazole), and 1.4% (sulfadimidine) of the input concentrations after a 1-d contact time. The corresponding values on the controls were 0.16% for sulfadiazine and 0.08% for sulfathiazole. After 3 d, the maximum values on the manured plots were even higher, whereas they had fallen below the limit of quantification on the controls. As a consequence, the sulfonamide losses were 10 to 40 times larger on the manured plots. The relative mobility of the sulfonamides on the control plots followed the trend expected from their chromatographic separation but the opposite was found on the manured plots. Hence it is important to consider explicitly the physical and chemical effects of manure when assessing the environmental fate of sulfonamides. Phosphorus (P) export from agricultural catchments is often event-driven and variable in time. Accordingly, a proper monitoring requires high-temporal resolution sampling during flow events. We report on a comparative study on the P export dynamics from two grassland catchments in Switzerland, where concentrations of dissolved reactive Phosphorus (DRP) have been monitored at a high temporal resolution for periods of 1.2 and 5 y, respectively. The data set is complemented by measurements on total P (TP), total dissolved P (TDP) and particulate P (PP) obtained from routine sampling ongoing since 1984 in both catchments. In one area, the high-temporal resolution monitoring revealed a pattern of the P export dynamic as expected from other studies. During flow events DRP concentrations usually increased significantly exceeding 1000 mg DRP m-3 during peak flow, while the values remained low between 20 and 100 mg DRP m-3 at base flow. This pattern was partially confirmed in the second catchment. The expected pattern was observed in 1998 and 1999 but was partially replaced by a new one for the following years. In the growing season, DRP only weakly increased with flow rate or remained almost constant. During flow events values larger than 300-400 mg DRP m-3 were rare. In contrast to these relatively low peak flow concentrations, high values (200-300 mg m-3) were recorded at base flow during the years 2000-2002. During the same period, DRP concentrations exhibited strong daily oscillations. Independent sampling and analytical control measurements verify the findings. Point sources like leaks from manure tanks could be ruled out based on the ammonia measurements. We suggest that biogeochemical processes within the brook are responsible for this change in the P export dynamics. Despite these changes in the pattern of the P export dynamic and ecological measures implemented on the farms no significant effect on the annual P loads could be observed during the last 10 years. Many remote sensing applications, including those of future space missions, require accurate knowledge of the influence of topsoil structure on the water content as measured using L-band radiometry. We report on field-measured L-band (1.4 GHz) microwave emission from a bare soil. Of special interest in this work is the procedure used to transform remotely sensed data to soil water content and its comparability with time domain reflectometer (TDR) in situ measurements. Surface roughness of the soil was characterized on a millimeter scale using an optical measurement technique. 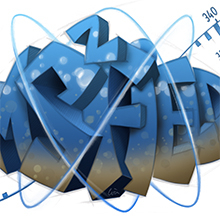 Different models for interpreting the microwave signals in terms of the water content were investigated. The agreement between in situ water contents and surface water contents estimated with radiometry data using the Fresnel equation was found to be poor. A coherent layer model, with and without considering roughness effects, was tested to compare radiometrically measured and modeled soil reflectivities. The correspondence remained unsatisfactory, even when we considered a dielectric gradient fitted to the TDR profiles and surface roughness represented by a scattering model. We developed a new air-to-soil transition model, which includes dielectric mixing effects due to small-scale surface structures. This model considerably improved agreement between measured and modeled results. We conclude that small-scale structures of the topsoil cannot be neglected in interpreting L-band measurements. Diffuse losses from agricultural fields are a major input source for herbicides in surface waters. In this and in a companion paper,we present the results of a comprehensive field study aimed at assessing the overall loss dynamics of three model herbicides (i.e., atrazine, dimethenamid, and metolachlor) from a small agricultural catchment (2.1 km2) and evaluating the relative contributions of various fields having different soil and topographical characteristics. An identical mixture of the three model herbicides as well as an additional pesticide for identification of a given field were applied within 12 h on 13 cornfields (total area ~12 ha), thus ensuring that the herbicides were exposed to identical meteorological conditions. After the simultaneous application, the concentrations of the compounds were monitored in the soils and at the outlets of three subcatchments containing between 4 and 5 cornfields each. Particular emphasis was placed on the two rain events that led to the major losses of the herbicides. The rank orders of herbicide dissipation in the soils and of the compound-specific mobilization into runoff were the same in all three subcatchments and were independent of the field characteristics. In Contrast, the field properties caused the relative losses from two subcatchments to differ by up to a factor of 56 during the most important event, whereas compound-specific differences of the three neutral herbicides caused the losses to vary only by a factor of 2 during the same event. The enormous spatial variability was mainly caused by factors influencing the fraction of rain that was lost to surface water by fast transport mechanisms. Thus, the key factors determining the spatially variable herbicide losses were the permeability of the soils, the topography, and the location of subsurface drainage systems. These results illustrate the large potential to reduce herbicide losses by avoiding application on risk areas. Dye tracer experiments have often been used to study the prevailing flow regime, such as in investigating the role and extent of preferential flow of water. Flow patterns in two-dimensional profiles provide qualitative information on the infiltration regime but are difficult to analyze and compare quantitatively. The scope of this study was to develop a quantitative method to analyze the spatial distribution of the stained areas in vertical profiles, to identify differing transport mechanisms on the basis of the pattern information, and to analyze how the discriminated patterns correspond with soil properties and structure. Dye tracer infiltration experiments were performed on 25 plots at eight sites. The spatial distribution of the stained areas in vertical profiles was analyzed and compared using digital image processing. We first split the flow patterns into similarly stained horizontal layers based on the width distribution of stained areas. All of these layers identified in the flow patterns of all 25 plots were then partitioned into groups of layers with similar patterns by hierarchical clustering. The sequence of layers found in the pattern was finally interpreted with respect to transport mechanisms and qualitatively compared with the sequence of morphological layers observed in the soil profiles. The obtained classification reliably distinguished between zones of homogeneous infiltration and zones of preferential flow, but also between zones of narrow stained structures and zones of lateral spreading (e.g., sand or gravel lenses). Dye coverage and mean width of stained structures were the most indicative factors for the different clusters. We often found an agreement between the sequences of layers found in the flow patterns and the soil horizons. However, in all profiles we observed layers in the flow patterns that did not correspond to textural and structural layers observed in the filed. It seems that knowing the pedological horizons is important but not sufficient to understand the observed flow patterns. Since the flow pattern in a given layer always depends on the overlying soil layers, similarly textured soil layers do not necessarily exhibit equal patterns. However, soil layers with a given textural sequence (e.g., fine-course-fine) are reflected by typical flow patterns. Incidental phosphorus losses - are they significant and can they be predicted? Fresh applications of phosphorus (P) may cause 'incidental' losses of dissolved and particulate P forms in land runoff when rainfall interacts directly with fertilizers and manures which are spread, or excreted, onto the soil surface. Research indicates that when incidental P losses (IPL) occur, they often make the dominant (50-98%) contribution to measured P loads in surface and sub-surface runoff from field plots, with increased risk of eutrophication where P-enriched runoff is routed directly to the watercourse. Rates of P loss are temporally and spatially very variable (<1 to 25% of total P applied) depending on the amount of P applied; the P release properties of the materials applied (% P extractable in water), the timing of storm events after application and the amounts of runoff generated. Large P applications left on the surface of wet, frozen, compacted, and intensively underdrained soils in high rainfall areas are particularly vulnerable to IPL. Concentrations of P in runoff are often greatest during the first storm event following P application, but can remain high for several weeks, or even months after application. Catchment scale impacts are more difficult to quantify due to the effects of dilution with runoff from fields without IPL, and the contributions of P from other sources. Approaches to predicting IPL are discussed and need to be improved in order to assess the contribution of IPL to catchment P loads in river basin management planning. Strategies to control IPL should focus on adoption of more sensitive management practices in fields with a high risk of rapid runoff or preferential flow, and are likely to very effective. Phosphorus is the limiting factor for primary production in most freshwater ecosystems. In many areas, diffuse P losses from intensively cultivated land cause severe eutrophication of surface waters. We investigated the P export from two drainage systems under intensively used grassland in a catchment of the Swiss Plateau. Flow rate and nutrient concentrations were measured with a high temporal resolution during discharge events. During most flow peaks, P concentrations strongly increased with increasing flow rates. Concentrations of soluble-reactive P (SRP) reached up to 155 µmol L−1. Phosphorus was mainly transported as soluble-reactive and particulate P. Organic P compounds, as well as P associated with colloids between 0.05 and 0.45 µm in effective diameter, were of minor importance. Estimated P loads from the drainage systems were 227 g SRP ha−1 within a period of 2.5 mo at site I and 1290 g ha−1 during 6 mo at site II. Estimation uncertainty was large (±21 and ±36% for the two sites, respectively) due to the weak correlation between discharge and concentration for all data from a given site. Water-extractable P in the soil was concentrated in the uppermost layer of the profiles or, for short periods after spreading of manure, deposited on the vegetation. The discharge-concentration relationship indicated that P was transported through preferential flow paths extending from close to the surface to the drains. Sprinkling experiments with a blue dye confirmed this conclusion. At one site, we observed preferential flow in a downhill direction within the saturated zone.